When Bronx-based Luchese associate Michael Meldish was shot to death in front of his home on November 15, 2013, at the age of 62, he was suspected of running a protection racket in the Edenwald area of the north Bronx. As per early reports, initial law enforcement suspicion was centered on that racket as a possible cause of the shooting. Meldish, however, was known to have had a steady supply of enemies going back decades. He'd been arrested five times in the 1970s on various charges including assault and weapons possession, and he had other convictions throughout the 1980s and 1990s. He was suspected of committing as many as 10 murders as well. Meldish lived on 2nd Avenue near 111th Street in East Harlem. According to neighbors, he lived alone, was occasionally visited by a son and grandson, and was considered affable by many who knew him in the neighborhood. One neighbor claimed that Meldish held a job in construction. 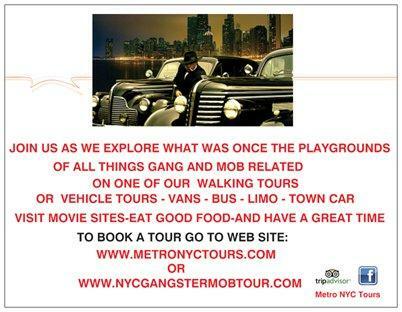 Gotti's Boys: The Mafia Crew That Killed for John Gotti is the latest from Anthony M. DeStefano. 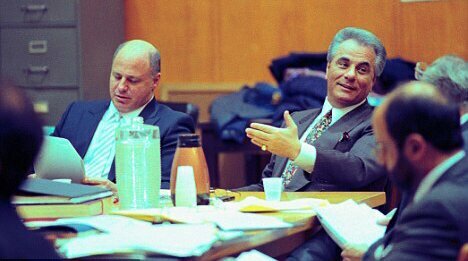 Before the bloody 1985 coup, John Gotti was capo at the Queens-based Bergin Hunt and Fish Club, where he'd run sitdowns. One sitdown was triggered when Bronx-based members of a crime family visited the wife of a wiseguy at home when the wiseguy was in prison for drug charges. Somehow it involved the Gambinos. “You tell your skipper I said, ‘You ever go to a guy’s house while he is in jail, I’ll kill you.’"
In the summer of 2009, Anthony Seccafico's wife had just given birth to twins. Seccafico, a construction worker and member of Local 79 of the Construction and General Building Laborers’ Union, commuted to Manhattan from his Staten Island home during the week. Why Was Mikey Nose Mancuso Elevated To Bonanno Boss? Michael (Mikey Nose) Mancuso should've been made years earlier than he was. 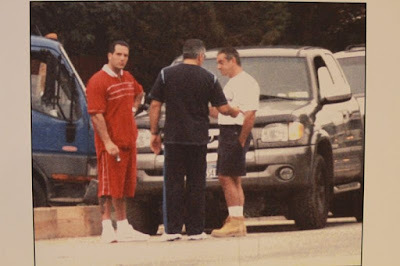 It was a prison sentence for murder that delayed his induction into the Bonanno crime family. In 1984, Mikey Nose left his mortally wounded wife Evelina on a bench outside Jacobi Hospital in the Bronx. (Early reports noted that there had been two bullets in her head.) Mancuso had pleaded guilty to manslaughter and served 10 years in state prison. His induction into the Mafia was delayed because he had to serve that sentence, informants told the FBI. Mancuso was named acting boss in November 2004, making him the third acting Bonanno boss since Joseph Massino was arrested in 2002. 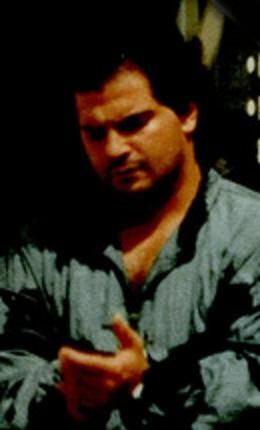 Mancuso was also the fifth consecutive boss or acting boss of the Bonanno crime family to be convicted of a violent crime (the previous four were Anthony Spero, Massino, Anthony Urso, and Vincent Basciano). This is part one of an exclusive interview with Colombo capo John "Sonny" Franzese and longtime friend Gregory Vita. John (Sonny) Franzese is 101 years old. He’s spent 40 of the past 50 years in prison. In February of 2017, Sonny turned 100 years old. A few months later, the prison commission approved his request for parole. On June 23, Franzese was released again. Sonny Franzese's longtime friend -- for 40 years -- Gregory Vita, in video below, explains how Sonny's early release was likely due to clemency from President Obama and he has letters supporting the claim. Vita has been caring for Franzese since Sonny’s release in 2017. Convicted of his own crimes and betrayed by family, Greg sits down with Sonny to discuss how they believe Obama's intervention led to Sonny’s early release. According to law enforcement, Sonny still occupies a high position in the Colombo family. This Christmas should be merrier than usual for reputed Bonanno crime family boss Michael (The Nose) Mancuso, who moved into a halfway house in Brooklyn earlier this year. Mancuso is now less than three months away from his March 12 release date from Brooklyn's RRM, or Residential Reentry Management field office. Mancuso was sentenced to 15 years in prison for the December 1, 2004, murder of Bonanno associate Randolph Pizzolo, whose bullet-riddled body was found face down in the Greenpoint section of Brooklyn. 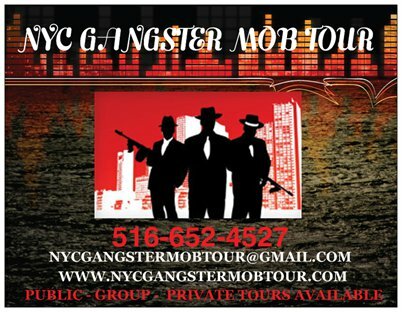 MTV, whose sister network VH1 gave us the reality show Mob Wives (which fueled millions of hits on this blog), is now training the spotlight on a younger generation of mob offspring, with the new series Made in Staten Island, which has among its trio of producers Mob Wives star Karen Gravano. Gravano, daughter of former Gambino crime family underboss Sammy (The Bull) Gravano, is also the mother of Made in Staten Island star Karina. The show debuts January 14, and as AM New York notes, "it’ll most likely bring a flood of renewed attention to the borough along with it: buzz from those who love to watch, those who hate to watch and those who just can’t seem to look away. "The “forgotten borough” knows this rhythm well." 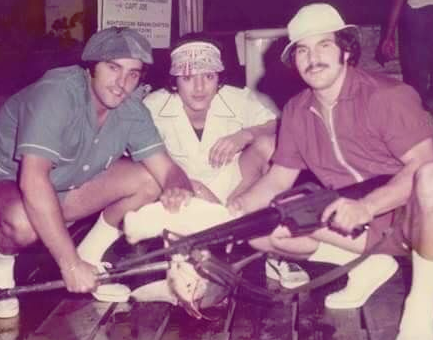 The net has widened in the murder probe of Luchese associate Sylvester (Sally Daz) Zottola, with Larry McShane of the New York Daily News reporting that three more co-conspirators were arrested today. The trio was nabbed for the murder of Sally Daz, 71, at a Bronx McDonald's drive-thru, as well as the summertime shooting of Sally Daz's son outside the family's home in the Bronx. The attempted hit on the son, according to a cooperating witness, was an effort to lure the father into the shooter's cross-hairs, McShane reported. Identified in a superseding federal indictment, McShane reported, were Arthur (Scary) Codner, Himen (Ace) Ross, and Kalik McFarlane. “The defendants, together with others, with malice aforethought, did unlawfully kill Sylvester Zottola willfully, deliberately, maliciously and with premeditation,” the indictment read, according to McShane.